So what makes the commercials so special? But this year, some advertisers are taking a different approach. Companies like Volkswagen (+2 million YouTube hits), Honda (+10.1 million YouTube hits), Coca-Cola (+22,000 YouTube hits), and even Downy (+162,000 YouTube hits) have released their spots online before they air during the game. Other companies, such as Bridgestone (+1.5 million YouTube hits), revealed their commercial teaser virally. Well, with ad rates this year at $3.5 million per 30-second spot, on top of the production costs with lavish effects or high-priced celebrity endorsers, advertisers are looking to get the most mileage out of their ads as possible. Competing for the attention of an expected audience of more than 100 million people, advertisers are hoping the pre-game release will get the conversation going. One person may view the Honda spot online, love it, and then make sure everyone sees it at their party on Sunday. Although the ads may lose a little bit of that game-day surprise, advertisers could generate more viewers and buzz with an early release. If you would like to check out the ads already released for this year’s big game or relive some classics from years past, visit Superbowl-ads.com. 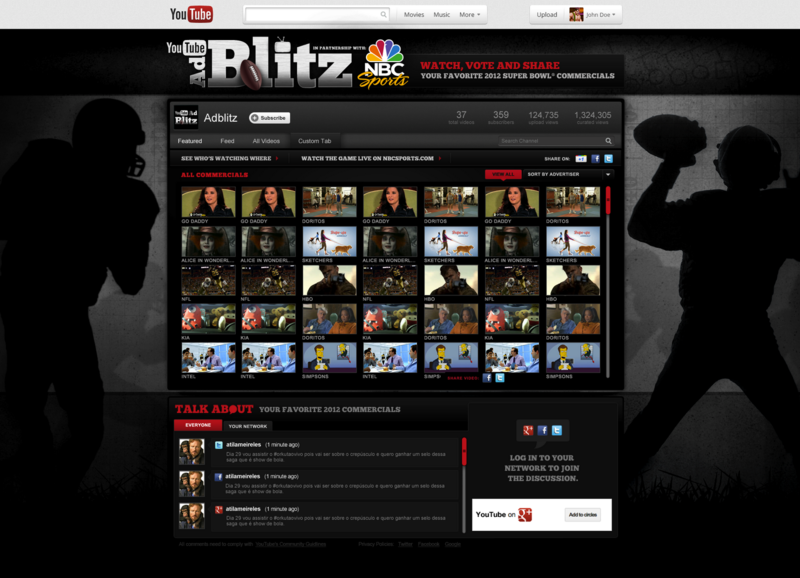 Also, if you miss any ads during the game, visit YouTube’s Ad Blitz page to view, share and vote for your favorite ads.